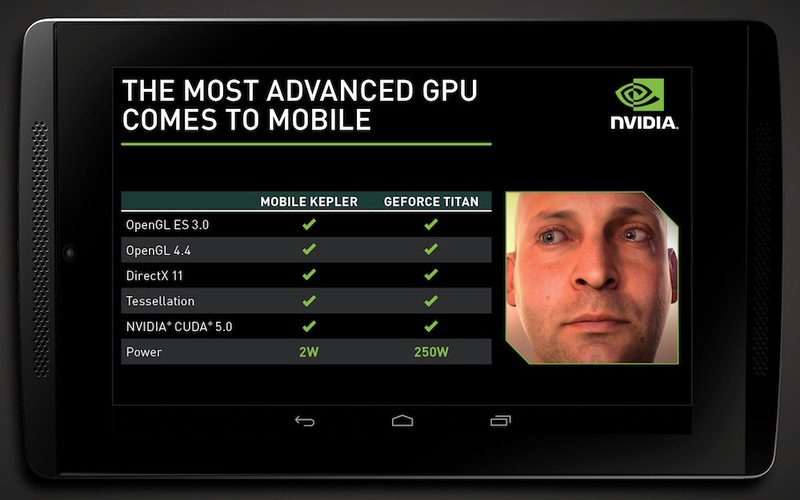 This morning, NVIDIA released a ton of info regarding their current plans to bring the Kepler GPU to mobile devices. The addition of the Kepler GPU for the company’s next-gen mobile processor was announced back at GDC in March, but the details on what Kepler can do for a phone or tablet were still heavily under wraps. According to NVIDIA, the introduction of the Kepler GPU to mobile devices will be as big of a step as the GeForce GPU was for desktops 14 years ago. The Kepler GPU is capable of bringing PC-class performance and power to mobile devices, allowing for certain desktop-only programs to run just fine on mobile. For example, advanced physics and simulation software could work on your device, as well as a large suite of other OpenGL programs. As for when we can expect to see all of this power and raw performance come to tablets and phones, NVIDIA only gave us a 2014 launch timeframe. If you are interested, hit up NVIDIA’s blog and the videos down below to see what Kepler is doing for mobile.